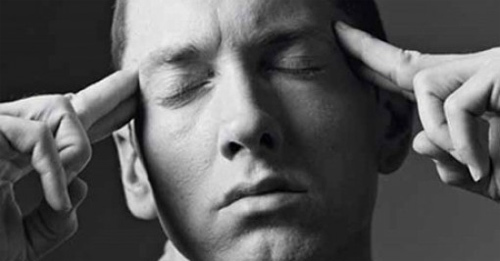 By calling his new record The Marshall Mathers LP 2, Eminem is setting himself a huge challenge. The original album is the one with Stan and The Real Slim Shady on it - and marked his creative and sales peak, selling 27m worldwide. Eminem's recent releases, however, have lacked that potent brew of snark and fury. So can LP2 recapture the magic? Well the first single, Bezerk, certainly has a lot going for it. Produced by Rick Rubin (he gets about a bit, doesn't he?) it rips up Billy Squire's hard-rockin' anthem The Stroke and sticks it messily onto an old-school Run DMC beat. "Let's take it back to straight hip-hop and start it from scratch," spits Eminem, who goes on to deliver some of his best lyrics for years. 1) "Been public enemy since you thought PE was gym"
2) "So sick I'm looking pale, well that's my pigment"
3) "I just showed up with a coat fresher than wet paint"
4) "Just like I did with addiction I'm about to kick it"
5) "Make like K-Fed and let yourself go"